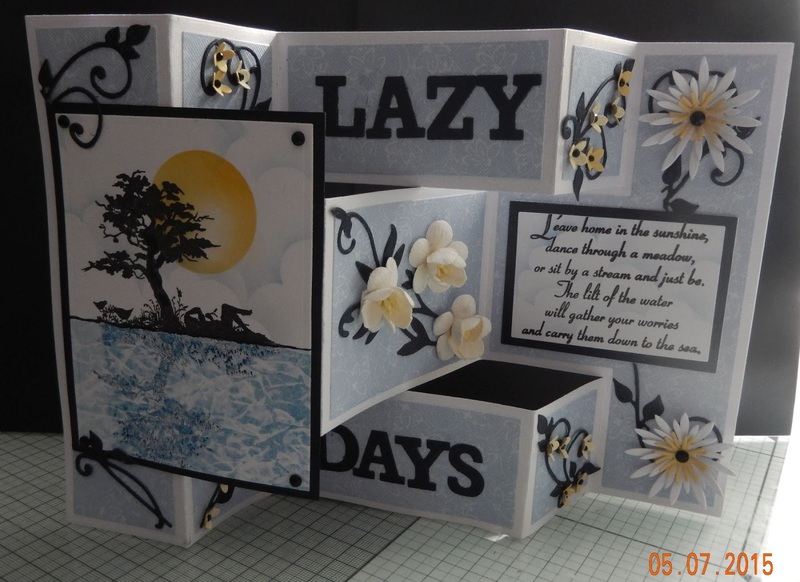 Another Friday and this time it's the lovely Beth hosting our Challenge and she has chosen 'Lazy Summer Days'. This challenge is being sponsored by Magnolia-licious. 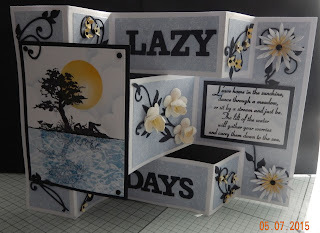 As soon as I read that the theme was Lazy Summer Days I knew at once which stamps I wanted to use, they are Clarity stamps of a daydreamer lying under a tree. 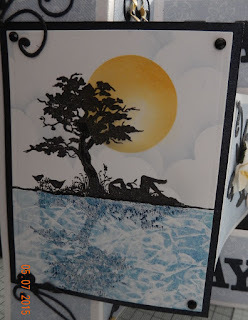 I started by making the reflection in the water using my blending mat ... then I positioned the actual main stamp image, followed by a lovely big sun. The effect of water is made using a brayer and some crumpled copy paper. The base card of my shutter card was made using a Tattered Lace die, it cuts the base shapes and also contains dies for all the matting elements. 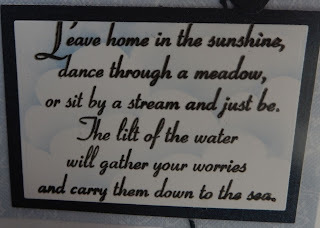 it was a bit of a luxury buy but it was a special offer price and I have always loved these type of cards because it offers so many surfaces to decorate. oh yes and the die set even includes the alphabet which I used to spell out Lazy Days. So this card really wasn't as complicated as it might look. I really hope when you see all the design team's efforts you will feel inspired to join in the fun you can enter here The winners are randomly selected so no matter what your crafty ability is you all have an equal chance of winning. OH Annie, I love, love your card...how perfect for the challenge and I love the design, and the sentiment, too!! Hello there dear Annie!! What a fabulous card style...chalk full of wonderful detail! This must have taken FOREVER...so many gorgeous elements to take in!!! Hope that you are well Annie! I really love this card ! :) It is just great !